Well, not from us. 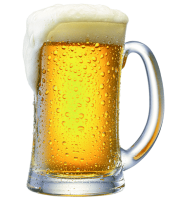 There are many liquor stores and microbreweries in Calgary and area that sell exceptional beer in kegs ready for your next gathering. Pair their beer with one of our keg dispenser systems and rental gas and have ice cold beer flowing all day on even the hottest of Calgary’s Summers. Get your Nitrogen or CO2 tank filled with food grade CO2 or a mix of Nitrogen and CO2 for a better beer experience. We can fill CGA-320 and CGA-580 valves on tanks up to 20lbs. If you need a larger tank, give us a call for rental options. Tired of exchange cylinders? Get your personal (or leased) tank filled while you wait. If its just beverage grade CO2 you are looking for come on in with your cylinder and we can fill while you wait. *Tanks are only filled to 90% capacity if choosing while you wait. Tanks will be filled full if left for next day pickup. We can fill any CGA-580 tank with CO2 or BeerGas (70% Nitrogen). These tanks are popular if you bought a beer dispensing system for use with Nitrogen. We can fill with either of CO2 or Nitrogen blend. All of our gasses are Beverage Grade. Your regulator will work with either gas. We can fill any CGA-320 tank with CO2 or BeerGas (70% Nitrogen Blend). These are typically found on CO2 tanks and popular with most home systems. 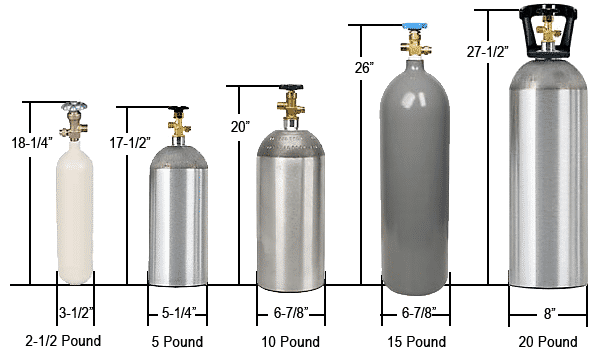 This is also a popular connection for people using larger CO2 bottles on their Soda Stream System. Your current regulator and tank can also take the Nitrogen Beer Gas.